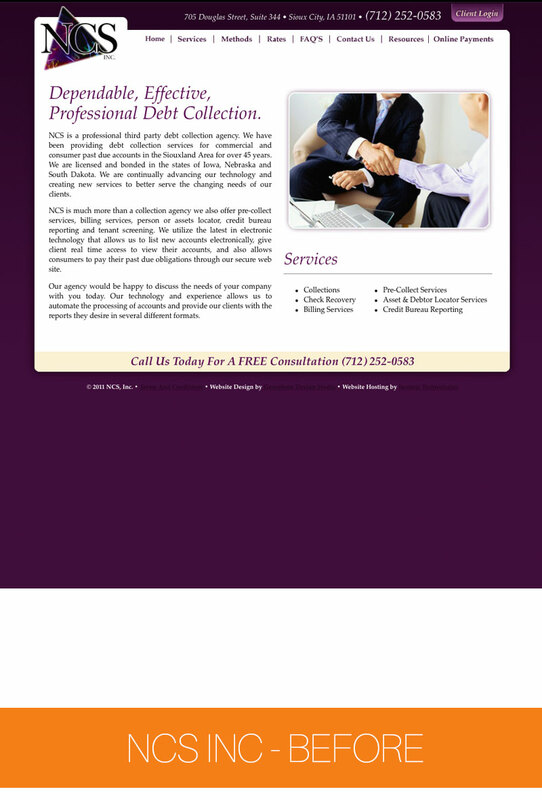 Description: We firmly believe that small websites should be just as awesome as large ones, so when NCS Inc. told us that they were looking to freshen up their 9-page site, we went in with the same enthusiasm we have with every project. We chose a fun WordPress theme, with unique angular features, a clean design, and elements that helped us display information in an easy-to-read format. In order to alleviate calls coming in for collection agencies with the same name from other parts of the country, we used local photos, and made sure the region was identified on the very front page. 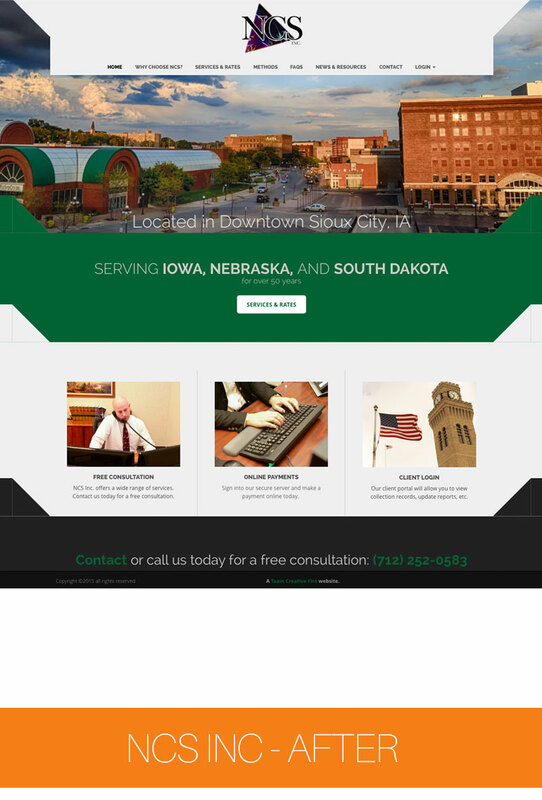 Since NCS has two audiences, clients and debtors, we built the site with both of them in mind, making navigation simple to follow for both parties. This project also involved recreating letterhead, fax, and client-facing forms so that they could be sent in electronic format.